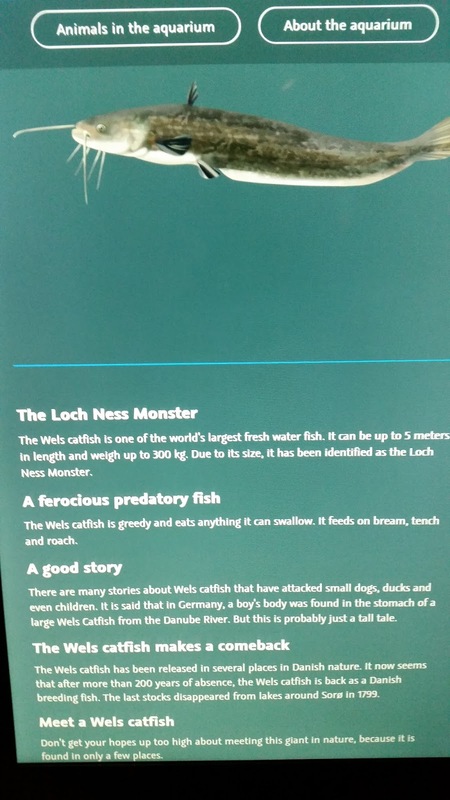 Steve Feltham has created a bit of a stir in the media by suggesting that the Loch Ness Monster could be a Wels Catfish. Some newspapers were suggesting that Steve would now bow out of monster hunting, as if the mystery had finally been solved. That won't happen and as Steve suggested, the theory is fluid and could be ditched by him the next day. Steve has toyed with this idea for years now and this is not the first time he has been (mis)quoted on this theory. Some have suggested the idea of a Wels catfish going back ten years or more, but the idea goes back before any such people were born and is parallel with the start of the Nessie story in 1933-1934. Rupert T. Gould mentions catfish in his 1934 book, "The Loch Ness Monster and Others", ascribing it to Dr. A. Van Veldhuizen, Professor of Theology at Groningen, who was no doubt familiar with the Silurus Glanis of the Danube River. Gould's comment is stark when he says this is "another example of a theory entirely divorced from the evidence". It seems with this theory, the skeptics have relaxed their demands on physical evidence. As it turns out, there is as much evidence for catfish in Loch Ness as there is for plesiosauri in Loch Ness. 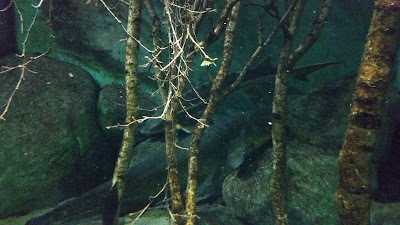 By a strange coincidence, I visited the aquarium in Copehagen as the catfish theory was circulating the media websites. Their Wels Catfish was sharing a tank with that other Nessie candidate, the Atlantic Sturgeon. I captured this photograph of them both together, though the light level was low and the catfish was decidedly inanimate. The smaller sturgeon is swimming above the catfish. The Wels Catfish is one of the world's largest fresh water fish. It can be up to 5 metres in length and weigh up to 300 kg. Due to its size, it has been identified as the Loch Ness Monster. Every fish has its day, but for me, this is not the Loch Ness Monster. 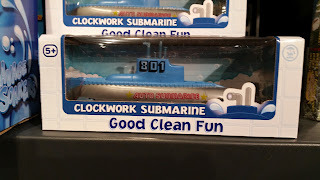 While I am on Nessie related stuff at this aquarium, I noted they were selling clockwork submarines. I was tempted to buy one and recreate a famous Nessie photograph. The box says "Good Clean Fun". Try telling that to the Loch Ness Monster community!